The offshore market remains buoyant, with exploration and production driving new fleet investment, design innovation in vessel efficiency and reduced environmental impact. Operations in more challenging offshore environments are also demanding enhanced vessel maneuverability, station-keeping and overall safety, in line with tightening regulations. The sector’s opportunities and its cutting edge technology will be on show at Europort 2013, the maritime exhibition taking place at Ahoy Rotterdam November 5-8, 2013, said Raymond Silliakus, Europort Exhibition Manager. 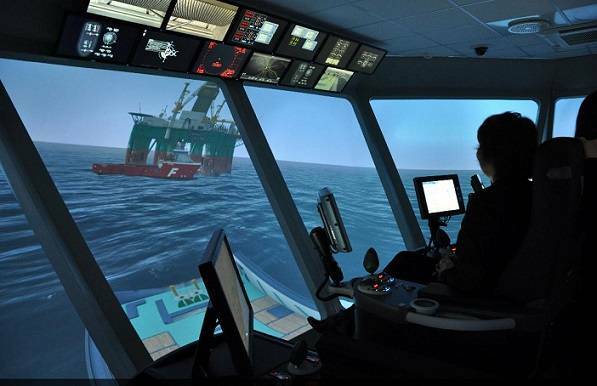 “Offshore ships have become more technologically advanced and able to perform more highly specialized duties, and this is reflected in their overall design and the control systems that manage greater complexity and scale,” he said. 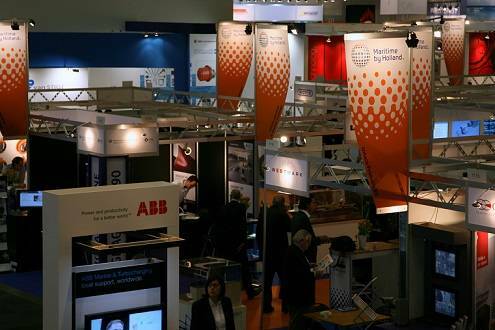 The global significance of the offshore dimension of Europort 2013 has been confirmed through the presence of exhibitor Petrobras Global Trading. 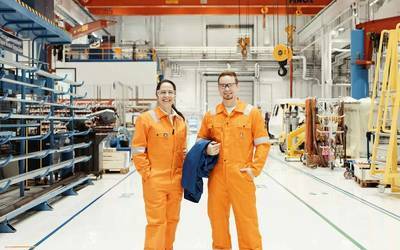 Participation by the Brazilian oil and gas giant has been organized through Petrobras Nederlands BV, the company’s newly established Dutch operations that is focusing on providing logistical support to Petrobras for drilling and production activities through the lease of vessels, platforms and subsea equipment. Keppel Verolme’s recent drydocking and maintenance projects have included an extensive package of works to the-submersible Scarabeo 6 and repair and maintenance of the Saipem 7000 and Seafox 7. In fact, Europort 2013 coincides with some of the most exciting design developments that the offshore sector has seen for many years in terms of overall vessel design. Damen Shipyards will be a prominent exhibitor, as the renowned yard group takes its recently launched new E3-type Platform Support Vessel (PSV) design to a wider audience. The design has found first form in the recently delivered World Diamond, the first of a series of six building at Damen Shipyards Galati for Norwegian client WWS. The newly-designed Damen AHTS 200 will also figure in the yard group’s Europort promotion effort. The latest addition to the Damen Offshore Series, the AHTS is a versatile Anchor Handling Tug Supply vessel able to operate in water depths of more than 3,000 m. The design is the result of extensive research analysis carried out on hull optimization, sea keeping qualities, reduced noise and vibration levels, lower fuel consumption and adherence to changing rules and regulations. It features an innovative winch package, revised propulsion system and a range of outfitting options. “We are very proud to be presenting this design and look forward to discussing details with possible clients,” Mr. Van Os said. International offshore vessel supply giant Rolls-Royce has also selected Europort to showcase some of its latest ideas. Certain to generate a lot of interest is the company's innovative permanent magnet tunnel thruster (TT-PM), the first unit of which was delivered recently to Olympic Shipping for its AHTS, Olympic Octopus. The TT-PM offers a 25% increase in power output compared to a conventional unit featuring the same size of propeller. Rolls-Royce will also lift the lid on its just launched Unified Bridge solution, which the company believes represents a step change in offshore vessel operation. The design simplifies and unifies the range of control levers, console panels and displays for the various systems onboard the latest generation of offshore vessels. It provides operators with significantly enhanced ergonomics and simplified operation, enhancing operator and crew safety, while improving task efficiency. Also jostling for attention at Europort will be ABB, which will be highlighting its rapid progress in delivering more environmentally-friendly drive solutions to the offshore vessel market. Although there is increased interest in using electrical propulsion for AHTS, the company points out that most vessels of this type are currently built with conventional diesel-mechanical plant. ABB will update the market on its hybrid drive solution, which combines mechanical and electric propulsion to deliver a more fuel efficient and environmentally-friendly solution to AHTS operators in particular. Water-cooled frequency drive specialist Bakker Sliedrecht has been another regular exhibitor at Europort and this year will be no exception. The company is part way through delivering on its breakthrough contract in China, where it is supplying four sets of drives to Shanghai Zhenhua Heavy Industries Co., Ltd (ZPMC) via the recently established Bakker Marine Electric Zhangzhou plant in Xiamen. The extensive diesel-electric propulsion equipment package will be installed on a series of SMIT/Boskalis cable laying vessels. These vessels will be DP2 notated. Pioneering technology is the core theme of Europort 2013, but that should not overshadow those taking the opportunity to highlight other opportunities created, and this is particularly so in today’s vibrant offshore sector. Grandweld, for example, will be on site to draw attention to its new $30 million facility in the Dubai Maritime City (DMC). 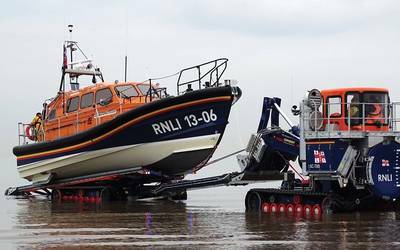 Now fully operational, the yard is in position to build larger, and more advanced vessels in future. 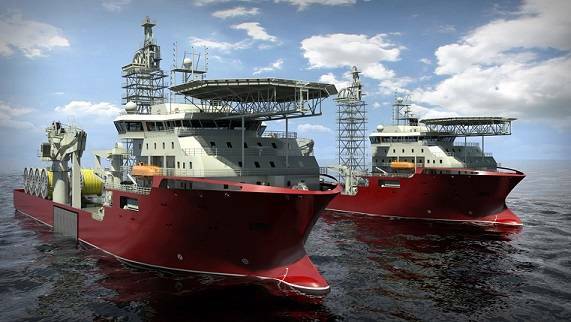 Its current workload includes 20 newbuildings of various types, including seismic support vessels, anchor handling tug supply ships, maintenance vessels, fast intervention supply vessels and crew boats.